Mectaplug cement restrictor is a diaphyseal plug for orthopaedic use. It is designed to occlude the medullary cavity before the introduction of acrylic cement. Mectaplug is a mixture of neutral compound (gelatine, water, glycerol and methylparahydroxybenzoate) which makes it biocompatible. Mectaplug is completely resorbed within a few days at 37°C and resists the temporary temperature rise generated by polymerisation of acrylic cement. 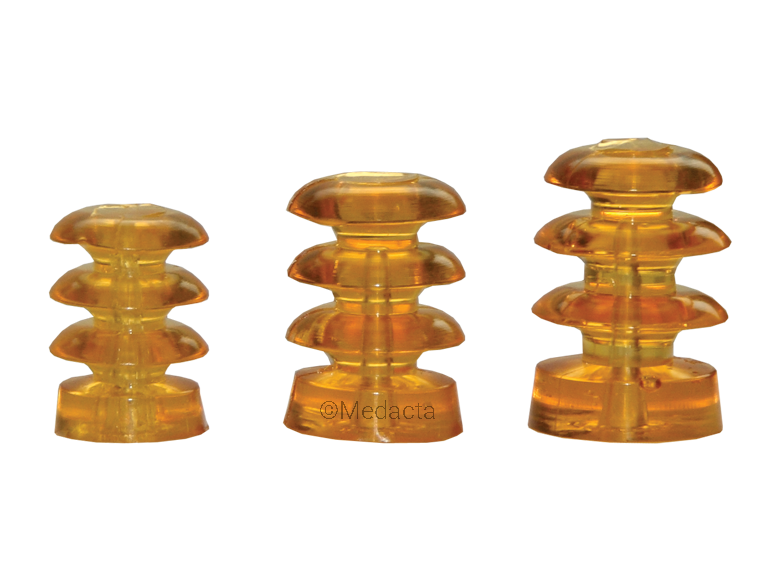 The gelatine based composition guarantees specific elastic properties, that optimize the occlusion of the medullary canal and offer a better resistance to cement pressurisation in comparison to a more rigid plastic plug. 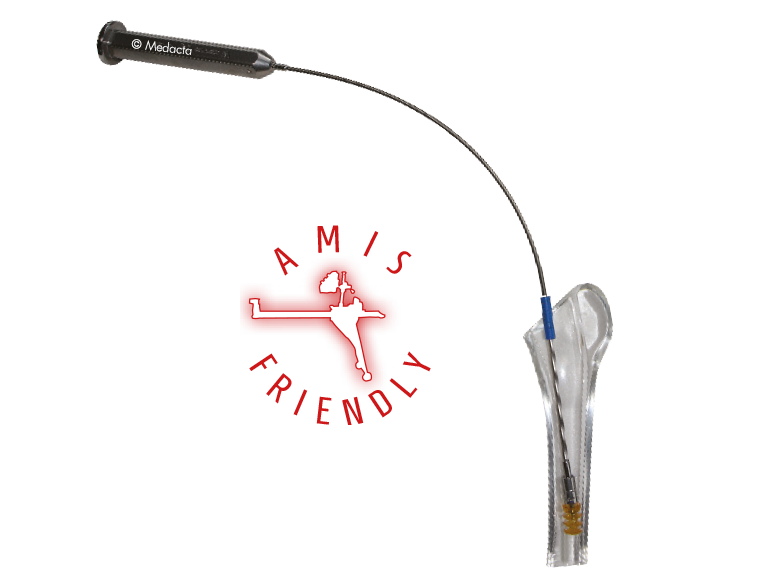 The surgeon does not need to remove Mectaplug in case of revision surgery. The Mectaplug is available in 6 sizes from 8 to 18 mm, with a 2 mm increment between sizes. COMPACT: the tray is composed only by the plug handle, special adaptors that guarantees a good stability during plug positioning and trial olives.